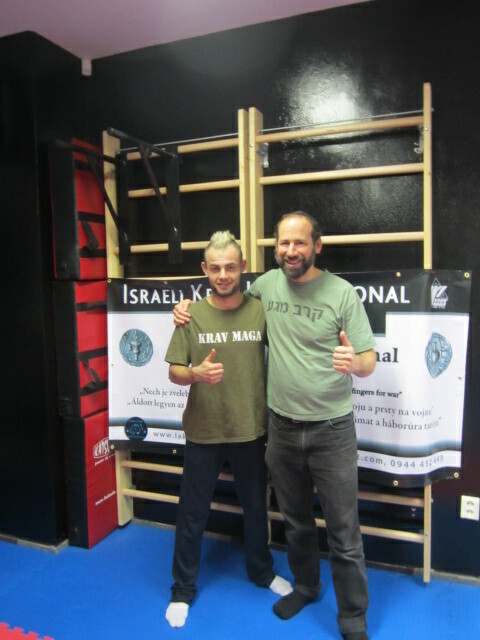 Tibor came to Israel on two occasions to train with IKI, including a full 10 day Tour and Train session, June 10 - June 20, 2012. 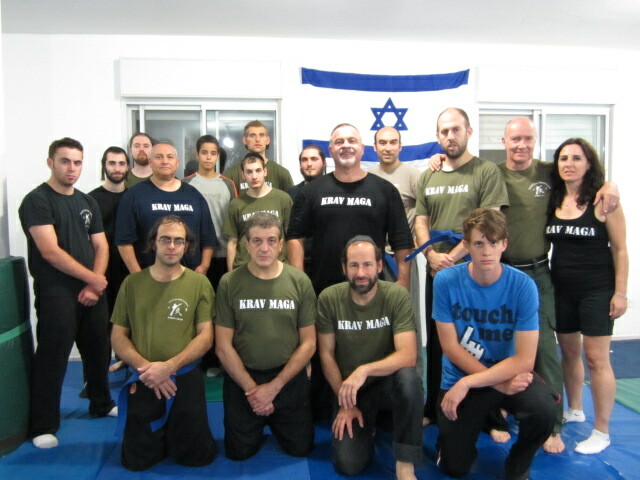 At the conclusion of this he was certified as an "Apprentice Instructor", or "Level One Instructor"
In February 2013 he organized the first IKI Krav Maga seminar in Slovakia. 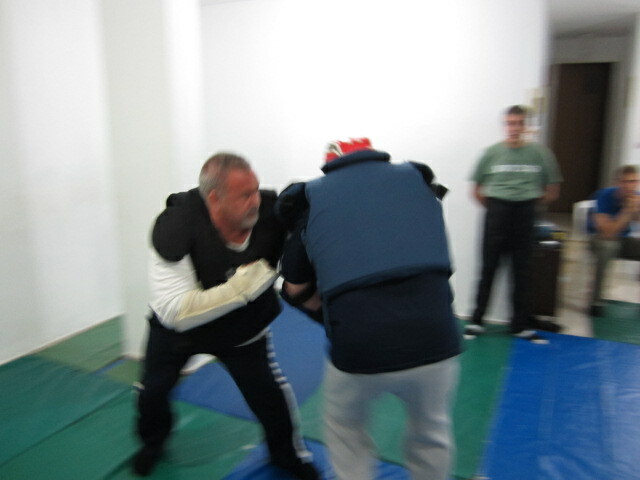 Tibor in action during Tour and Train June 2012. 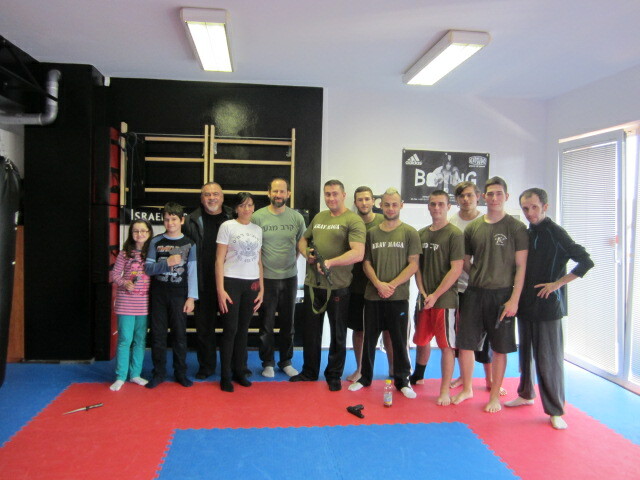 Moshe Katz, Tibor Sklut and one of our Krav Maga training groups.